​​​​​​​Effective immediately, Deutsche Telekom is offering its corporate customers rapidly deployable network connections and services. The new telecommunications offering is based on the ngena network – the Next Generation Enterprise Network Alliance (www.ngena.net). Through the global alliance, which Deutsche Telekom set up together with partners, a hitherto internationally unrivaled business model was set up in the industry. All ngena partners share their networks and connect them to a global, highly standardized network. The network is based on the state-of-the-art technology and is managed by software. As such, multinational corporate customers in particular can roll out corporate networks and data connections as virtual private networks (VPN) much faster than before. 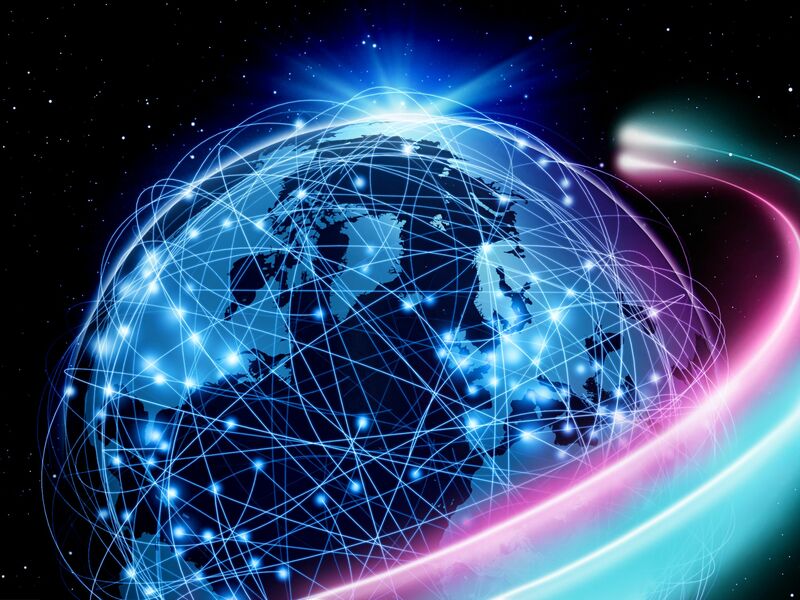 The advantage is obvious: International enterprise customers benefit from networks that can be set up quickly either via the Internet or via dedicated lines. Deutsche Telekom customers can thus respond quicker to new business conditions in the wake of digitization. Deutsche Telekom subsidiary, T-Systems, is the first alliance partner to launch a network offering based on the ngena platform. Dubbed “Smart SD-WAN powered by ngena,” it is available in the access variants XS, S or M – depending on whether the network access is configured singly or redundantly, and whether it is provided via the Internet, Ethernet, or a combination of the two. With the standardized and automated “Smart SD-WAN” offering, T-Systems is supplementing its existing classic IPVPN offering IntraSelect, which can be tailored to specific customer requirements. The new network product also supports other services in addition to secure worldwide networking of company sites as VPN. These include the secure regional gateway from the corporate networks to the Internet using firewalls, or the intelligent management of network traffic depending on priority class. The offering is initially geared to enterprises with German procurement (Germany outbound). Sales in other countries will gradually follow, along with additional access variants and services as well as a broader coverage of countries. Smart SD WAN is based on the partner model from ngena, the Next Generation Enterprise Network Alliance (www.ngena.net) which Deutsche Telekom together with co-founders CenturyLink, Reliance Jio, and SK Telekom set up at the beginning of 2016. Numerous other telecommunications providers who link their own networks via a central platform to form a global infrastructure have since joined the alliance. These include Altice with SFR and Portugal Telecom, Neutrona, PCCW Global as well as technology partners Cisco, Comarch and Equinix. Other partners are set to join soon. Deutsche Telekom also aims to make it easier for enterprises to manage industrial plant and equipment right around the globe by using a new generation of networks. Machinery and robots are already intelligently networked at companies. Procurement and logistics, sales and service – companies' entire value chains are digital. At Industry 4.0 companies, manufacturing and logistics organize themselves in smart factories, without human control. German industry plans to invest 40 billion euros in Industry 4.0 by 2020, according to a study by consulting firm PricewaterhouseCoopers. In the Industry 4.0 world, machines, individual parts and other objects are equipped with sensors. These collect data which can be used to manage the product’s path through the production machinery and the individual work steps. At the same time, more transmitting sensors also means more data traffic, greater real-time requirements (latency) and increased bandwidth demands. This is in addition to potentially connected ERP (Enterprise Resource Planning) systems with thousands of users, big data analytics and cloud services that access the network. The providers' historically evolved networks are already having trouble keeping pace with these new requirements. One reason is that network resources are still being allocated manually in some cases. This is slow and expensive – it can take days, weeks or even months before a reliable line is available for mission-critical use. No administrator will be able to keep up with future data flows. Software-defined networks (SDN) automate the configuration of individual systems by shifting the administration work to a central management console. This makes SDNs the foundation for a new generation of industrial production networks such as ngena's. The same applies to the development of industrial networks based on the upcoming 5G standard, which is only just beginning.